Administrative Law Judge (ALJ) Robert F. Helfand, from the Office of Administrative Hearings (OAH), State of California, heard this matter in Huntington Beach, California, on October 16 and 17, 2012. Student’s grandmother (Grandmother), acting as an advocate, represented Parents on behalf of Student (Student). Student’s father (Father) and mother (Mother) were present at the hearing. Student’s parents (Parents) were assisted by Tony Tran, a certified interpreter. Karen Van Dijk, Attorney at Law, represented the Westminster School District (District). Leisa Winston, District Assistant Superintendent; Reagan Lopez, District Administrator for Student Services; and Dr. Crystal Bejerano, of the West Orange County Consortium for Special Education (WOCCSE) also attended. At the hearing, the ALJ received oral and documentary evidence. The following witnesses testified at the hearing: Father, Mother, Grandmother, Michelle Garcia, Ellen Fitzsimmons, Megan Clark, Helen Li, Diana Padilla, Thuy Tran and Leisa Winston. At the request of the parties, the record remained open for the submission of written closing and rebuttal arguments. The parties filed their closing briefs on October 26, 2012 when the matter was submitted. 1 The issues are those alleged in Student’s second amended complaint dated August 22, 2012. Whether the change in location from Sequoia School to the Finley School, which is Student’s home school, for the kindergarten SUCSESS class denied Student a free appropriate public education? Whether the District committed a procedural violation by failing to have in attendance at the May 16, 2012 individualized education program (IEP) meeting all required IEP team members which resulted in Student’s parents not being able to meaningfully participate in the IEP decision making process and in Student being deprived of educational benefit? Whether the District committed a procedural violation by revising Student’s IEP in May 16, 2012, without prior written notice? Student’s proposed resolution is that OAH issue an order finding that Student be placed in the SUCSESS class at Sequoia School for the 2012-2013 school year. 1. Student is a five-year-old boy who resides with his parents and older brother, who is also autistic, within the geographical boundaries of the District and the attendance zone for the Finley Elementary School (Finley). Student has been eligible for special education since August 27, 2010. 2. 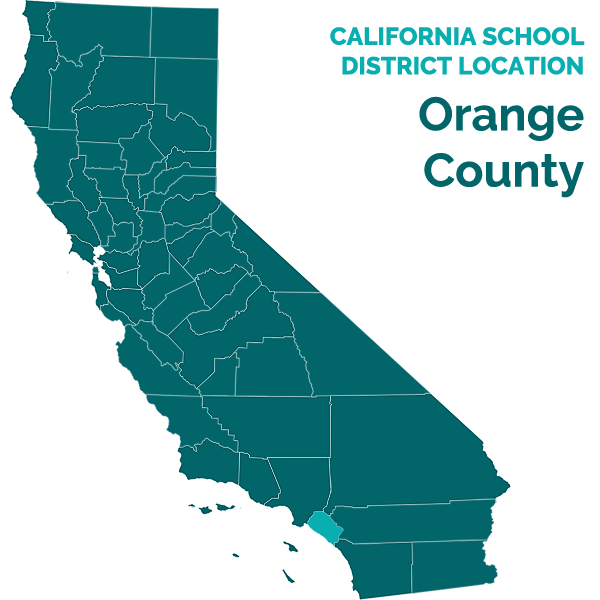 Student received services through the Regional Center of Orange County including their early start program which was located at the District’s Land Elementary School (Land). Student was referred by the Regional Center to the District as Student was turning three years of age. 2 SUCSESS is an acronym for Systematic Utilization of Comprehensive Strategies for Ensuring Student Success. 3 The District did not have SUCSESS classes at Finley. 4. The SUCSESS program is designed to maximize learning for children with autism. The SUCSESS classrooms are specially designed to minimize distractions; are highly structured; and incorporate behavioral interventions, social skills, color coding and visual schedules. SUCSESS program staff are trained in behavior support and intervention, Applied Behavior Analysis, and Discrete Trial Therapy, all of which are incorporated in the program. The program also utilizes the Picture Exchange Communication System (PECS) and TEACCH (Treatment and Education of Autistic and Related Communication-Handicapped Children) methods. The program is designed to operate with a staff ratio of two-to-one. Teachers go through training including the SUCSESS Academy run by WOCCSE, the special education local planning area of which the District is part. 5. Student attended the Pre-Kindergarten SUSCESS class taught by Diana Padilla. Ms. Padilla has a master’s degree in special education and a credential in early childhood special education. From 2005 through 2009, she was an early start teacher at the Intervention Center for Early Childhood in Santa Ana, California. Since 2007, she has implemented home based programs for children up to three years of age who have developmental disabilities or delays. Since 2009, Ms. Padilla has been a special day class teacher with the District. She was Student’s teacher for the 2010-2011 and 2011-2012 school years. During the 2010-2011 school year, Ms. Padilla went on maternity leave from March 24, 2011, to the end of that school year. 6. When Student first arrived in her class from Land, Ms. Padilla did not note any transition problems. During his entire time in her class, Student never demonstrated any behavioral or transitioning problems. 7. Father testified that he believed Student had problems during the time Ms. Padilla left on maternity leave in spring 2011. He claimed that Student felt stressed, refused to eat, and did not engage in play. The Progress Report for June 27, 2011, by Judy Bruland, the teacher who replaced Ms. Padilla, noted that Student had met or was making progress on all IEP goals. Ms. Bruland did not report nor note that Student had any problems transitioning to her replacing Ms. Padilla. At the annual IEP on June 3, 2011, Student’s parents did not raise any issue as to transitioning to the new teacher nor Student’s alleged change in behavior. Ms. Padilla did not note any changes in Student in this regard during school year 2011-2012. 8. Michelle Garcia is the District autism specialist. She has a B.A. in liberal studies and is currently enrolled in a master’s program in special education with an emphasis in Applied Behavioral Analysis. She has credentials in mild to moderate and moderate to severe disabilities. In 2000 through 2003, Ms. Garcia was an instructional assistant for special education with the Irvine Unified School District. From 2004 to 2008, she was a special education specialist with the District; and since 2008, she has been the inclusion and Autism specialist for the District. As part of her duties, Ms. Garcia supervises the District’s autism programs including SUCSESS. Ms. Garcia noted that Student has transitioned to new school sites with new teachers and service providers for the extended school year (ESY) without any problems in 2011 and 2012. When the new school year commenced, Student also had no problems transitioning to his regular classroom. 9. In spring 2012, the District decided to re-organize its special day classes with the goal of attempting to locate all such classes to other schools which would permit children to attend schools close to their home school, permit less time transporting students, and align the schools to the middle schools where the students would attend after elementary school. This allows the students to be educated with children in their neighborhoods, to continue with the same peers through middle school, and to prevent a concentration of special education classes on a few campuses. Only two elementary schools had SUCSESS classes in the kindergarten – second grade (K-2)—Sequoia and Schmitt. In the 2011-2012 school year, Sequoia was the location for a total of seven SDC classes. 10. Beginning in March 2012, the District conferred with the elementary school principals for their input. The District decided to move one of the K-2 SUSCESS classes from Sequoia to Finley and set up a new class at Schmitt. On May 11, 2012, the District forwarded letters to the parents of any student who may be affected by the re-alignment. Student received such a letter dated May 13, 2012 with a copy in his parents’ native language of Vietnamese. 4 The parties stipulated at the hearing that the mileage, as determined by MapQuest, between Student’s home and Finley was six-tenths of a mile while the distance from the home to Sequoia was eight tenths of a mile. 11. In the beginning of May 2012, Parents and Grandmother heard that the District would be adding a K-2 SUCSESS class at Finley. Grandmother then contacted Ellen Fitzsimmons, a District program specialist, about concerns the family had that Student may be transferred to another school for kindergarten. Ms. Fitzsimmons informed her that a K-2 SUSCESS class would be located at Finley and as to the benefits of Student attending his home school. On May 8, 2012, Leisa Winston, then the District administrator for student services who supervised special education for the District, contacted Grandmother by telephone. Ms. Winston explained the decision and that the decision was based upon student needs. They also discussed Grandmother’s concerns regarding the change in schools including the qualifications of the teacher and possible transition problems for Student. One of the concerns voiced was that Sequoia was closer to Student’s house than Finley. 4 Grandmother was informed that Parents could apply for an intra-district transfer to permit Student to remain at Sequoia. 12. On May 10, 2012, Parents filed with the District an open enrollment request to have Student attend the SUSCESS class at Sequoia stating that Student was “well adjusted” to the program and that autistic children are adverse to making changes. On June 4, 2012, Student’s open enrollment request was denied as there was no space available at the Sequoia SUSCESS class. 13. On May 16, 2012, Student’s annual IEP team meeting was held. In attendance were Mother, Father, and Grandmother on behalf of Student. District attendees were Ms. Fitzsimmons, the Administrative designee; Megan Clark, school psychologist; Elaine Mizuo, general education teacher; Helen Li, District speech language pathologist (SLP) who provided speech services to Student; Diane Padilla, Student’s then special education teacher; and Ms. Garcia. 14. The IEP team reviewed Student’s progress on the prior IEP annual goals and discussed Student’s current present levels. The team adopted new goals and agreed that Student should attend the ESY SUCSESS class which was scheduled for Schmitt. For school year 2012-2013, the team agreed that Student should advance to the kindergarten SUCSESS class. Because one of the two SUCSESS classes from Sequoia was moved to Student’s home school, the team recommended that Student be placed at the Finley class. Ms. Garcia explained that the Finley class would be identical to the K-2 SUCSESS classes which were at Sequoia the previous year. Student’s family objected to the change in location as they were concerned that the program had not been established, that Student may be anxious in changing schools, and that Student had been progressing at Sequoia. District team members stated that Student did not demonstrate any transition problems which would prevent such a move. The IEP document contains notes as to the discussions at the IEP meeting including Parents’ concerns. 15. On June 18, 2012, Parents filed a request for due process hearing with the OAH. The District, per Ms. Winston, sent a five page letter to Parents (with a copy in Vietnamese) detailing an explanation of the District’s proposed action and to respond to each of the issues raised in Student’s original complaint. The District forwarded a letter to Parents explaining the reasons for the District moving the SUCSESS class to Finley as well as why Student was selected to be placed in the class. 5 The video was shot from the viewpoint of the Student and was prepared by Ms. Garcia. 16. On July 2, 2012, a Resolution Session was held. Parents and Grandmother were in attendance as was Ms. Fitzsimmons, Ms. Winston, and Anne L. Delfosse, executive director of WOCCSE. Parents were informed that the Finley K-2 teacher would be Thuy Than, who had taught one of the two K-2 SUCSESS classes at Sequoia during 2011-2012. Parents and Grandmother expressed their concerns regarding Student’s transitioning to a new school. District representatives discussed how the SUCSESS K-2 classes would be identical to each other and transition strategies which could be utilized for Student including a video prepared to introduce Finley to the new K-2 students. 5 Parents were offered to have a meeting with Ms. Tran at Finley prior to the school year starting. Parents were also informed that providers, like the SLP, school psychologist and autism specialist, would be the same as those who worked with Student the prior year at Sequoia. Additionally, the District offered to hold an IEP for purposes of setting up a transition plan for Student and hand delivered a Notice of IEP Meeting for a meeting on July 10, 2012, at 9:30 a.m.
18. The Finley K-2 SUCSESS class is taught by Ms. Tran who has a B.A. from California State University, Fullerton in 2011 as well as her multiple subjects teaching credential and special education moderate-severe teaching credential. From 2007-2010, she was an instructional aide for severely handicapped children with the Huntington Beach Union High School District. Since 2010, Ms. Tran has been a behavioral therapist with the Advancement for Behavioral & Educational Development & Intervention of Irvine. In 2011-2012, she taught the K-2 SUCSESS class at Sequoia. Ms. Tran testified that she has organized her classroom, with the assistance of Ms. Garcia, to ensure that it meets the SUCSESS standards of color coding, minimizing distraction, visual schedule, and PECS system with designated areas for individualized instruction. Ms. Tran stated that her new classroom is similar to her classroom at Sequoia the previous year. Her Finley class is operated in the same manner that her Sequoia class had been. Her testimony was corroborated by Ms. Garcia and Ms. Li, who both also indicated that her Finley class is virtually identical to the 2011-2012 as well as the current Sequoia K-2 SUCSESS class at Sequoia. 19. Ms. Clark has been a school psychologist since 2000. She has a B.A. from U.C.L.A. in psychology and a M.A. from Chapman University in education psychology. She holds credentials in educational specialist and pupil personnel services in school psychology. Ms. Clark has been a guest lecturer at Chapman and Loyola Marymount Universities. During school year 2011-2012, Ms. Clark was familiar with Student as she provided in-class support to Student’s SUCSESS class. Based on her familiarity with Student and his history of successful transitions, Ms. Clark opined that Student would not have problems transitioning to the Finley class. Additionally, Ms. Clark noted that Student’s services would still be provided by the same personnel who had provided services the prior year at Sequoia. 20. Ms. Padilla, Student’s pre-kindergarten teacher for the prior two years, also opined that Student did not have transition problems both during the school year as well as during ESY. 21. Parents picked up Student at least 15 minutes early on a daily basis so as to permit them to also pick up his brother, who was in a SUCSESS class at the Johnson Middle School (Johnson). Johnson is located immediately adjacent to Finley. This would permit Parents to pick up both of their sons without requiring Student to be picked up early and miss valuable instruction time. 6 All references to the Code of Federal Regulations are to the 2006 version. 9. Here there is no dispute that the IEP offers Student a FAPE. The only dispute is whether requiring Student attend Finley prevents him from having a FAPE. Issue (a): The change in location from Sequoia School to the Finley School, which is Student’s home school, for the kindergarten SUCSESS class did not deny Student a FAPE. 10. Student contends that the District is denying him a FAPE because of his being transferred to the new SUCSESS class at Finley. Student alleges that attending a new school will be disruptive as autistic children have trouble transitioning in general, that Student has had transition problems in the past, and that the Finley program was “not established.” The District counters that it is required to place Student in the school closest to his home, he has had no history of transition problems, the District has offered to design a transition plan for Student, and the Finley SUCSESS program is identical to the program at Sequoia. 7 As to Student’s being denied an intra-district transfer to Sequoia, this was not an issue under the IDEA. Even so, it should be noted that the reason for denial was that the Sequoia K-2 SUCSESS class was impacted as it had met the designed maximum enrollment. Issue (b): The District did not commit a procedural violation by failing to have in attendance at the May 16, 2012 IEP meeting all required IEP team members. 8 Student did not contend at the hearing that he was denied any educational benefit as a result of this alleged violation. 13. Student contends that the District committed a procedural violation of the IDEA by not having in attendance a representative of the Finley school at the May 16, 2012 IEP meeting. Student contends that the absence of a Finley representative prevented Parents from fully participating in the IEP decision-making process. 8 The District contends that the required IEP team members were in attendance. Issue (c): The District did not commit a procedural violation by revising Student’s IEP in May 16, 2012, without prior written notice. Pursuant to California Education Code section 56507, subdivision (d), the hearing decision must indicate the extent to which each party has prevailed on each issue heard and decided. The District prevailed on all issues heard and decided in this case.